Cadillac is introducing the 2019 Sport Edition, a bold new look for those who aren’t afraid of the dark. Arriving in the Middle East in June 2019, this new black-accented version is the first special edition available for the award-winning SUV. Offered on, Premium Luxury and Platinum models, the new Sport Edition is distinguished by gloss black exterior trim, including the front grilles, window moldings, body side moldings and more, as well as a unique Midnight Silver finish on the standard 22-inch wheels. 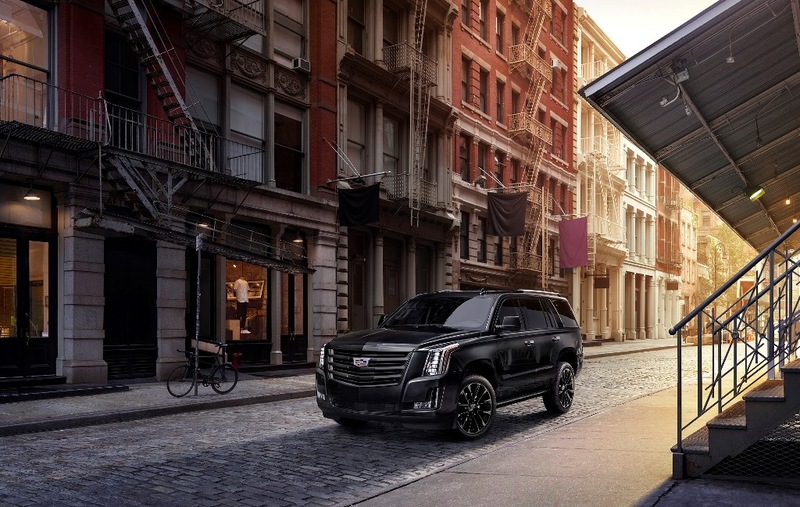 Escalade has led the full-size luxury SUV segment in sales in the U.S.A for 15 of its 20 years on the road, driven by a powerful blend of sophisticated style, uncompromising capability, innovative technology and exceptional craftsmanship. Escalade’s list of awards keeps growing. J.D. Power named the Escalade as having the ‘Best Initial Quality and Resale Value among Large Premium SUVs,’ and Consumer Guide® Automotive named it a Best Buy Award winner for five consecutive years. It has also topped the prestigious Middle East Car of the Year (MECOTY) honours list having previously won the ‘Best Large Premium SUV’ category. A powerful 6.2L V-8 engine rated at an SAE-certified 420 hp (313 kW) drives all models. Each model is standard in 4WD. •	Magnetic Ride Control with driver-selectable modes. •	Automatic Parking Assist . •	Fold-flat second- and third-row seats with power-folding third row. •	Heated and cooled front seats with heated second-row bucket seats. •	Heated, leather-wrapped steering wheel with wood accents. •	12.3-inch-diagonal instrument cluster display with high-resolution digital driver information center. •	Bose® Centerpoint audio system featuring 16 speakers. •	Hands-free liftgate with Cadillac logo illumination. The Escalade Sport Edition package will be available for orders beginning in Q1 of 2019 through Cadillac dealers across the Middle East.